Hasselblad H System. Boxed with lens, front and rear cap, lens hood, and leather pouch. Like new, slightly used, less than 1500 actuations. Price new : around 5200 USD. Aperture Range: f/3.5 to f/32. Non è prevista nessuna restituzione, l'oggetto è venduto "VISTO E PIACIUTO". Hasselblad Carl Zeiss Sonnar C 250mm f/5,6funzionante,buone condizioni estetiche e funzionali completo di tappi. Non è prevista nessuna restituzione, l'oggetto è venduto "VISTO E PIACIUTO". Filtre Hasselblad -Y 1.5 - 50. Bon état. Filtre Hasselblad. Hasselblad-Y 1.5 - 50. Nous achetons pour des collectionneurs privés, institutions et musées. This B104 fitting is also known as Rollei baj viii. For use with the older C type 40mm Carl Zeiss wide angle lenses, sold by Hasselblad and Rollei. Hasselblad 104 UV HZ filter. HASSELBLAD / 104. Carl Zeiss West Germany. Das M.ZUIKO DIGITAL ED 12-40mm 1:2.8 PRO ist mit einer schnellen Umschaltung zum manuellen Fokus ausgestattet. Sie können das Objektiv dann in derselben Weise wie ein herkömmliches manuelles Fokusobjektiv benutzen. ,Hasselblad Zeiss Sonnar 4,0/150 Objektiv, das Objektiv hat einen gepflegten Zustand., die sich neben dem Preis befindet. Es öffnet sich dann eine zweiteilige Eingabemaske. Sicheres Einloggen?. Hier kann der Bieter überprüfen, ob der Vertragsinhalt (Ware) und die Vertragsbedingungen von ihm akzeptiert werden. Accessoire Hasselblad Filtre Macro B57 Carl Zeiss Proxar f=1m. Très bon état. Filtre macro B57 Carl Zeiss Proxar f = 1m. Accessoire Hasselblad. Très bon état. Nous achetons pour des collectionneurs privés, institutions et musées. Hasselblad soft focus filter Carl Zeiss II. Good condition. Catalogues antiq-photo gallery. 75006 Paris. HASSELBLAD OPTIC ADAPTER C-CF-CFI FOR HASSELBLAD H (All models). FILTRE HASSELBLAD B104 JAUNE TRÈS PROPRE AVEC REBORD CHROMÉ ÉPAIS POUR L'OBJECTIF HASSE C DE 40 MM. MPN Does Not Apply. Circular Size 104 mm. Country/Region of Manufacture Germany. Hasselblad soft focus filter Carl Zeiss Softar III. With case. Good condition. Catalogues antiq-photo gallery. 75006 Paris. To Fit all older C Series Hasselblad B50 (Bay 50) Lenses only as: Planar C 80mm f2.8, Planar C 100mm f3.5, S-Planar C 120mm f5.6, S-Planar C 135mm f5.6, UV-Sonnar 105mm f4.3, Sonnar C 150mm f4, Sonnar C 250mm f5.6, Planar F 80mm f2.8. Filtre de protection Hasselblad / 50 1x CR 1,5 (-0). Marke Hasselblad. Marché de la photo, concessionnaires pour photo-optique à Altbach à Esslingen. HASSELBLAD 63mm Neutral Density GREY filter 8x GR. 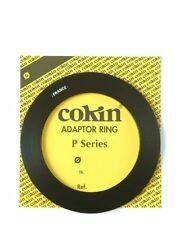 for use with Hasselblad C type lenses with 67mm screw front. HASSELBLAD 63 8x GR -3 Made in Germany. 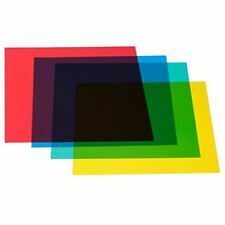 Neutral density filters are used to change exposure. Jeu de filtres pour Hasselblad. Marke Hasselblad. Par conséquent, une expulsion de la TVA n’est pas possible. C = nécessaires plus forts signes d’utilisation / utilisé, utilisé plus fort. B =, bien conservé /. 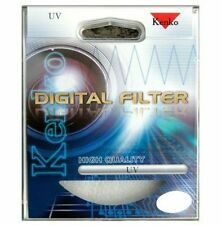 Ce qui est ACMAXX LENS ARMOR filtre UV ?. ACMAXX LENS Armor est un filtre de lentille optique de cristaux. Il est difficile d’obtenir des rayures. N’importe quel propriétaire conçu ACMAXX Lens Armor a un numéro de modèle unique. Proxar 0.5 and 1.0 were available from 1957. The Proxar 2.0 was introduced in 1965. Proxar 0.5 code 50296/TICLC. Proxar 1.0 code 50318/TICMC. Proxar 2.0 code 50326/TIEKC. Graded: Excellent. C: Everything functioning. Hasselblad 60 1 x filtre Multicoated UV-Sky (1 a) g25. Filter Effects UV. 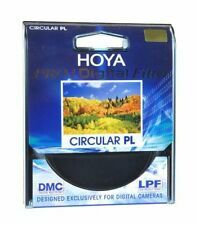 NOUVEAU filtre polarisant circulaire de véritable ORIGINAL HELIOPAN Hasselblad Bay 70 707041. Circular Size Hasselblad Bay 70. To Fit Camcorder. L’objectif s’inscrit des objectifs Hasselblad avec front Mont B-60. L’intensité lumineuse des lentilles ne sera pas modifiée. Marke Hasselblad. Catégorie d’imposition : 3. Permite acoplar cualquier lente Hasselblad Serie C-CF - CFi. Can work in normal conditions (Focus / manual diaphragm and shot from the body of the Hasselblad H). (Foco/Diafragma manual y disparo desde el cuerpo de la Hasselblad H). For Hasselblad B93. Genuine Hasselblad B93 Red 4x R -2.5 Filter. Box is cracked in two places but still OK to use. Price reduced due to marked glass. Filter and plastic case (cracked in two places but still OK). This B104 fitting is also known as Rollei baj viii. For use with the older C type 40mm Carl Zeiss wide angle lenses, sold by Hasselblad and Rollei. Hasselblad 104 yellow filter. HASSELBLAD / 104. My words are always 100% truthful. HASSELBLAD ORIGINAL filtre BAY 50 PROXAR 0.5 propre anneau parfait beau fonctionne bien ! Model PROXAR. Circular Size BAY 50. Country/Region of Manufacture Germany. Circular Size BAY 50. Shape Circular. Country/Region of Manufacture Germany. Hasselblad 63 1.5x Y -0.5 Yellow B63 Filter. - Provides a natural tone rendition. - Especially useful for clear contrast between blue sky with clouds and foreground. Made in Germany. Hasselblad baie 60 Proxar 1.0 T bouchent objectif Macro 51665. EXPÉDITION de manutention & IS gratuit pour les États-Unis continentaux ! Hasselblad UV-Sky B60. 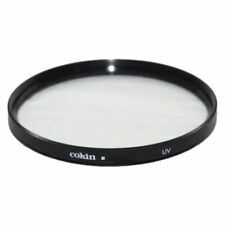 Hasselblad UV-Sky filter Made in Germany. Nice condition with just minor cleaning signs. Hasselblad Polfilter B60. Hasselblad polariser Made in Germany. Nice condition with just minor cleaning signs. Model 1xCR1.5 -0. Hasselblad 50mm 1xCR 1,5-filtre 0. Manque de cas original. Made in Germany. MPN Does Not Apply. It is useful for interior photographs made in offices and subway stations. The windows of buildings would appear green because their interiors are illuminated with fluorescent tubes. They are general purpose filters intended for moderate correction and will not, by themselves, necessarily provide perfect color rendition. We cannot accept any liability/responsibility in the choice of goods you have ordered. Objektiv Filter. Neutrale Filter, die die wertvolle Frontlinse Ihres Objektives vor Staub, Regen, Beschädigungen schützt. Schmuck Uhren Luxus-Accessoires. Schmuck / Uhren hochwertiger 2nd-hand Schmuck / Uhren und Lifestyle Produkte. Model SOFTAR II. Circular Size BAY 50. Country/Region of Manufacture Germany.